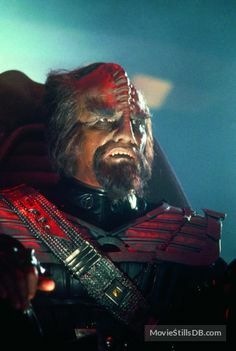 Star Trek: Discovery is set during the Federation/Klingon War, about ten years prior to the events in the original Star Trek TV series. 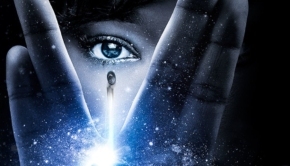 Star Trek: Discovery: Season One (Paramount, 671 min. 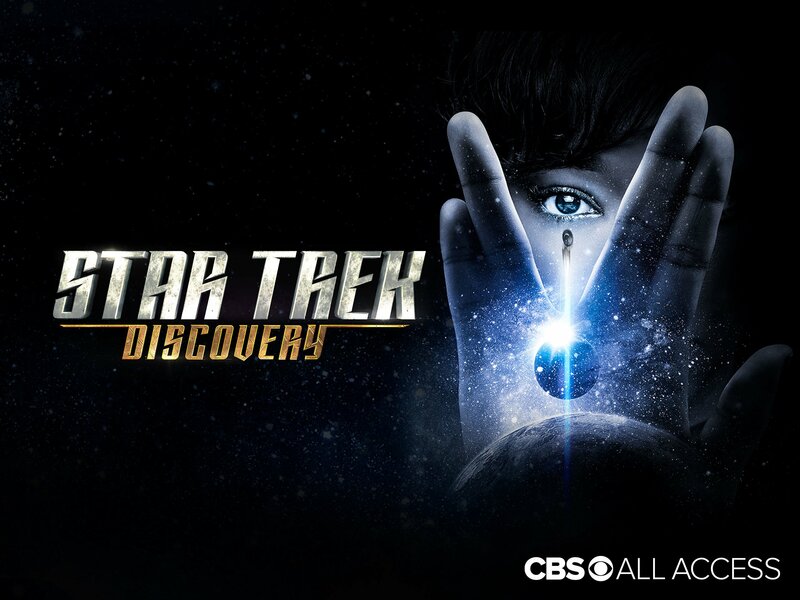 ), contains the 15-episode first season of the latest Star Trek TV series, which was restricted to the CBS All Access network, which means that many potential fans are yet to see this saga. Director: Akiva Goldsman, John Scott, T.J. Scott et al. It looks like the next decade will be the decade of Star Wars and Star Trek. We were treated to a lot of space adventures in recent years by Disney and Lucasfilm and this will still be the case in the coming years as the franchise only grows bigger. But Star Trek is not far behind. There will certainly be another film in the series with Chris Pine and no other then Quentin Tarantino is working on a Star Trek project. And for those who cannot wait for more adventures set in the ST-universe there is of course Star Trek: Discovery. This brand-new series excited a lot of people and can be watched on Netflix or regularly via a neat physical box you can actually put underneath a Christmas Tree. 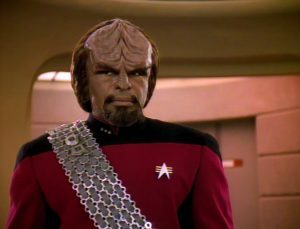 Whoever follows Star Trek from the start and has seen all previous films and series knows that it is never – or very little – about actual war. When Star Trek: Discovery appeared on the screen, there were a lot of fans who said that the series was not Star Trek-worthy at all. But that judgment was undoubtedly coming too fast, since this clever piece of television actually tells a lot more. 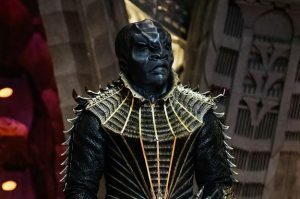 Star Trek: Discovery may have some kind of war as basis for the stories, but the series actually tells a lot more. 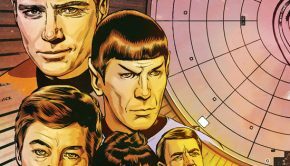 Tolerance, new opportunities, respect for other species … these are all elements that are addressed in the exciting story and that really make you realize what Star Trek is: magnificent science fiction that really is eager to make a mark. The only thing that might be upsetting is the series might feel as a retcon or reboot of the series, mainly due to the (plot twist… not telling!) but also due to the experimental propulsion engine and visually the Klingons have taken a huge step. You do have to take this as a new given, since changes are necessary to be able to showcase something new and exciting and up-t-date for new generations. It is also nice that the series – which like every big and long American series has a ‘midseason finale’ – is completely reinvented halfway through. The story suddenly goes in a different direction and is a lot more than just a plot-twist. 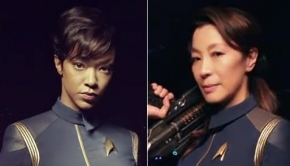 Star Trek: Discovery is stylish science fiction and is full of interesting characters. From Michael to Lorca, from Mr. Saru to Ash and Tilly … They are all characters that make you hang on the screen and make you care for them as well. 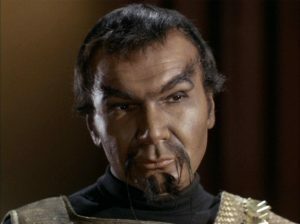 Even the bad guys have a heart, a cultural relevance and a depth that is at minimum understandable. This is of course also due to the wonderful acting. Sonequa Martin-Green is phenomenal as Michael and also Doug Jones, the partner in crime of Guillermo Del Toro, knows how to convince as Saru. Furthermore, Jason Isaacs, Anthony Rapp and Mary Wiseman also provide wonderful performances. 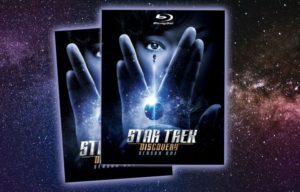 Those who are looking for a delicious science fiction series: make way for Star Trek: Discovery. The series is phenomenally good with storylines that are always fascinating and characters that are time and again interesting from various angles. Star Trek: Discovery is both innovative and back to the roots and, moreover, visually it looks very nice. 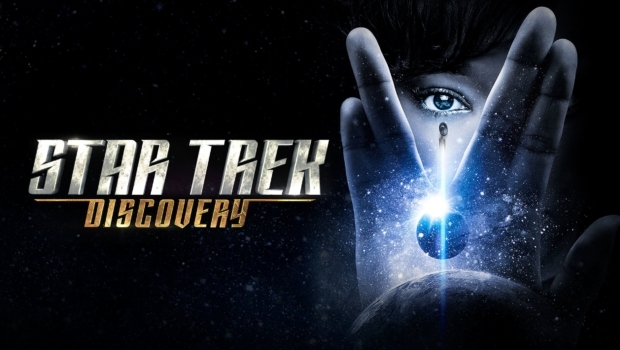 The special effects are impressive, so we only have one thing left to say: “Trekkies, live long and prosper.” Because if you are going to watch or binge this series, everything WILL be fine in your life.